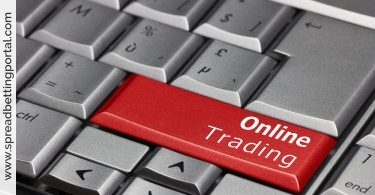 SpreadBettingPortal.com > FAQs > What is Pairs Trading? Pairs trading involves buying one financial instrument and selling a similar or related instrument at the same time. The main reasoning behind this is that you can take an almost market-neutral position and still expose yourself to potential profits. 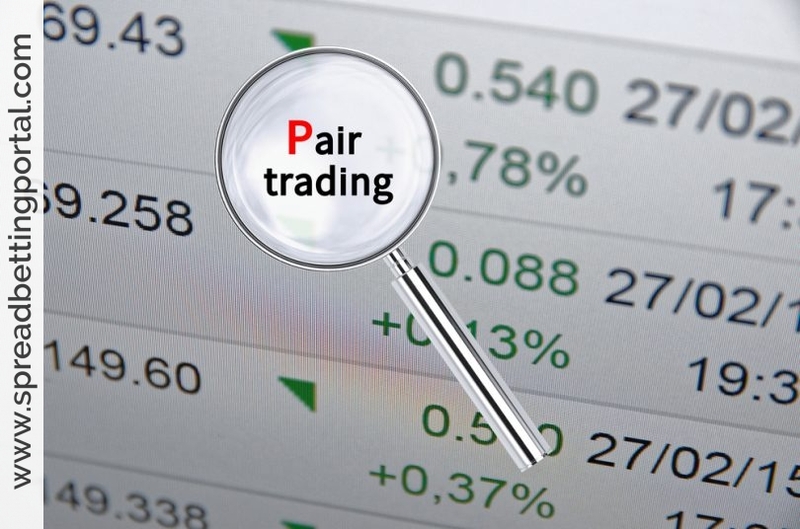 Pairs trading is one trading strategy you can utilize when spread betting and is often thought to be lower risk. This strategy involves comparing two competitor companies. The strategy involves trading pairs of companies where you take a long and short position in assets that have inverse correlation or a sector theme. Many financial asset prices tend to move closely together. For example, the two big UK pharmaceutical companies – GlaxoSmithKline and Astra Zeneca – typically rise and fall at the same time, as you might expect. However, they don’t always move at the same rate, so one might go up or down a lot more than the other. This can create a nice opportunity for pairs traders. When a ‘pair’ of assets that usually have a close relationship get out of kilter, you can speculate that they will end up moving back together. With this trading strategy you are looking to buy an undersold asset and sell an overbought one. If everything works according to plan you would end up with a profit on both trades, however even if the wider market is rising, you will still make a gain as the under performing should increase in value by a great percentage than its overbought counterpart. In effect this is said to be a market neutral approach as over time, two comparable companies will broadly trade a given share price ratio; all other things being equal. 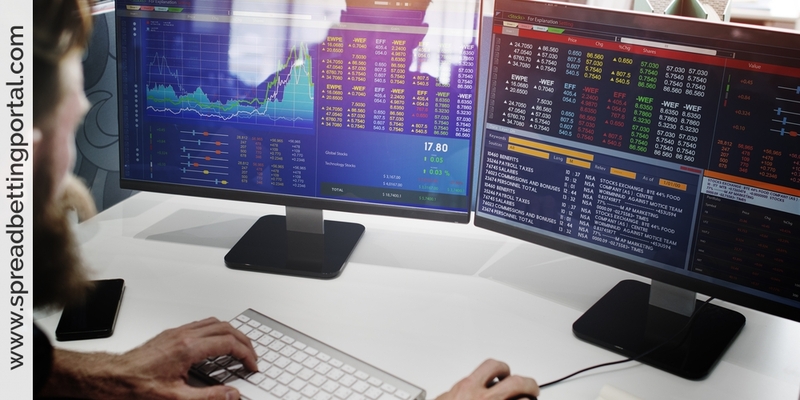 The trick is of course to identify pairs of shares or other assets that are historically closely correlated to each other. A few examples are The value of the US dollar and Oil, or the Value of Gold and the Value of Oil. These instruments tend to experience correlating prices movements. Pairs trading is also very popular with shares in the same sector for example two oil producing companies. 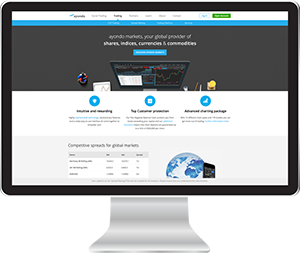 Spread betting provides a relatively simple and flexible way to approach this. Let’s look at an example considering two oil producing companies, Oil A and Oil B. After some careful examination you determine that Oil A is relatively stronger than Oil B when compared to the sector. You then execute a Pairs Trade by buying the stronger Oil A and selling the relatively weaker Oil B. Now if the whole sector strengthens, Oil A’s value will increase at a relatively higher rate than Oil B, delivering a net profit. Conversely if the value of the sector goes down, you could expect the value of the relatively weaker Oil B to be reduced by a greater rate than Oil A thereby delivering a sell-side profit. Usually, pairs are best chosen from the same industry sector. For instance you might believe that Barclays has performed strongly and there is little upswing left in its stock price, whereby you believe that RBS is still undervalued so you could take a short position on Barclays while taking a long one on RBS. If your trading prediction is correct, and Barclays stock falls while RBS rises, you should make a gain from both of your trades. Other indirect examples could be gold and nickel; for instance if we believe that the gold price will rise while the nickel price will fall or long FTSE 250 and short FTSE 100 trade. This is by no means a guaranteed strategy but it does open up your spread betting to a wide range of profit (and loss!) potentials. Let’s take an example. Suppose you think BP is undervalued compared Royal Dutch Shell. So you buy BP at 430p at £10 a point and sell Shell at 2100p at £2 a point to give you similar exposure (£4,300 in BP and £4,200 in Shell). Both your trades prove to be correct, with BP stock rising to 452p and Shell decreasing 2050p. This means you make £220 on BP and £100 on Shell. Why not simply buy stock in BP stock and potentially make a bigger profit? Because a pairs trade can make money when prices fall as well as rise. Even if both the shares upon which you’ve done the trade subsequently fall in value, you can still make money. What matters in a pairs trade is the relative difference between the two. As long as the instrument you’ve bought falls by less than the instrument you’ve sold, you will be profitable. Scenario 1: So suppose that in our example both stocks were to rise in value, rising to 452p and 2150p respectively, you would make a profit of £220 on BP and a loss of £100 on Shell ending with a net profit of £120. Scenario 2: Let’s say that both BP and Royal Dutch Shell end up declining along with the wider stock market, BP from 430p to 400p and Shall from 2100 to 1900p. In this case, the trader still makes money. Although his long position in BP has lost [30 points x £10] £300, his short position in Shell has made [200 points x £2] £400 points, leaving him a net profit of £100. If both spread trades move as predicted, we will end up with two sets of profits. But should one move in an opposite direction to our anticipated view, the idea is that the other side of the pair will more than compensate so we still come out ahead.